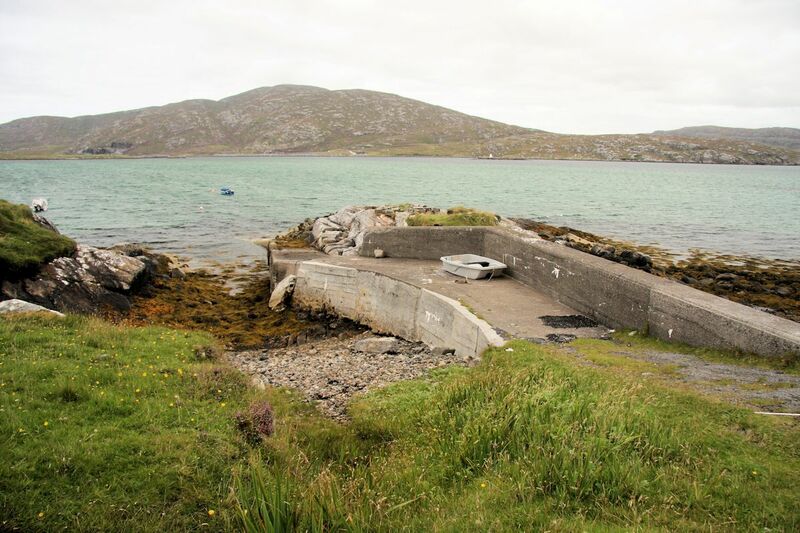 At Uidh is the landing site from where the first ferry ran to Barra between 1968 and 1977. Travelling from Barra to Vatersay was not always as easy as it is today. The islanders of Vatersay had to rely on a ferry service before the causeway was completed in 1991. The first ferry route started in 1968, operated by a local fisherman who used his fishing boat to ferry passengers back and forth. The service only ran on request, thus there was no daily service. In 1977 the 'sea truck', a car passenger ferry, ran for six months which brought added complications. When the ferry had vehicles on board it had to land at Leideag (Barra) and on the return journey it would land at Caolas, to allow vehicles to disembark.